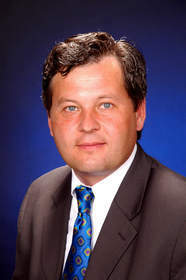 ORLANDO, FL -- (MARKET WIRE) -- July 11, 2005 -- Mark Kowal has been named director of national accounts for Peabody Hotels. "Adding Mark Kowal to our national sales team is an important step, as Peabody Hotels expands the Peabody brand to a wider market," said Barry Anderson, vice-president of sales and marketing, Peabody Hotels. "His proven record as a stellar meetings hotel sales manager strengthens our team's overall effectiveness." A native of New Jersey, Kowal attended St. John's University in Queens, New York, receiving a bachelor's degree in business management. During his college career, Kowal's interest in the hospitality field was sparked when he started working in the university's food and beverage department where he became a skilled bartender, then advancing to banquet service and food preparation. He quickly realized his métier was hospitality sales. In 1998, Kowal began his career at Hilton Hotels in New Jersey and New York, working as executive meetings manager and then sales manager. He took a break from Hilton Hotels in 1999 and moved on to RHIGA Royal Hotels in New York City. During this time, he worked as senior sales manager for the 500-room luxury hotel with over 12,000 sq. ft. of function space. Hilton was calling his name again, and in 2001 he joined the Hilton Hotel Parsippany in New Jersey as assistant director of sales. After a year in Parsippany, he decided to return to New York City where he held the position of national sales manager at the prestigious Plaza Hotel. Upon leaving the Plaza Hotel, Kowal joined Peabody Hotels. "The Properties of Peabody Hotels are a perfect match for my clients," comments Kowal. "I have been developing my business relationships and client base for many years at some of the nation's most luxurious hotels. I feel my success in the sales field is a result of my reputation for really taking care of my clients from step one to the very last detail. I attribute this to the high rate of repeat business I create." Peabody Hotels comprises The Peabody Little Rock, The Peabody Memphis and The Peabody Orlando, and is within the portfolio of Peabody Hotel Group. All three Peabody properties are multi-award winning hotels and are members of Preferred Hotels and Resorts Worldwide, Inc.